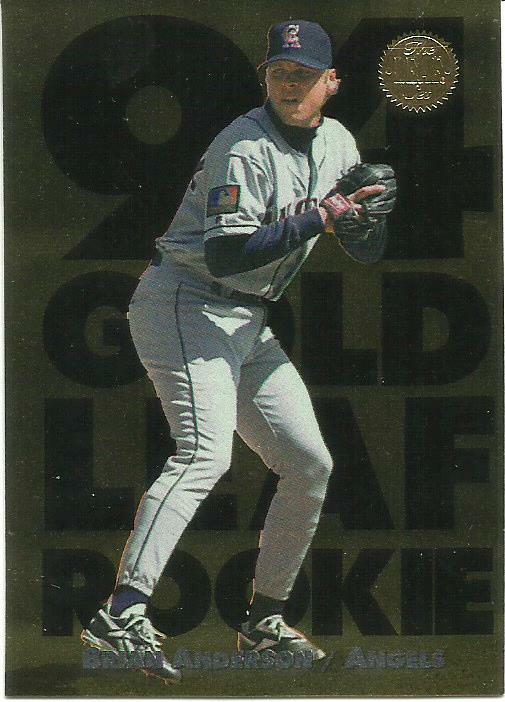 I love Gold Leaf Rookies, I hate that my scanner won't pick up the gold foil. These inserts could be found in about 1:18 packs, so not an easy pull. The lone Angel card in the set is this one. 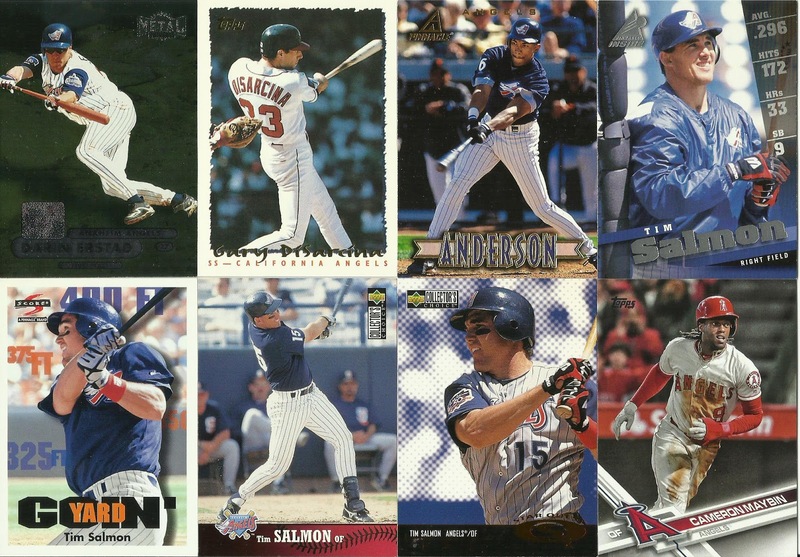 Not a great crop of rookies in this set, Manny Ramirez would probably be the best one. 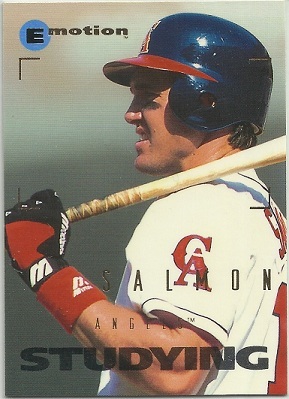 AJ included a nice selection leaning towards Tim Salmon as well. I feel your pain. 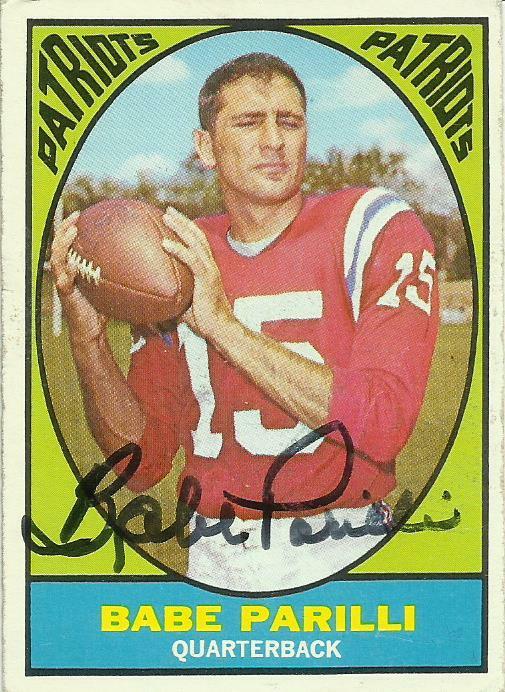 One of the players I collect (Russ Davis) is in the same insert set. I can't make that card look good. Glad you got them. Most were from the random binder of cards I recently found at a thrift shop. I figured it was a decent assortment of Angels to send your way. Dang scanners. I spent 10 minutes today trying to get a good scan of this refractor I just purchased. Never ended up getting one that turned out okay.